Great time today at VPX Widnes. Free activities for the kids. It’s been great to provide support for this free event for the second year running, with Cllr Phil Harris. I’ve really enjoyed working with Kingsway’s PCSO Bowers on it. 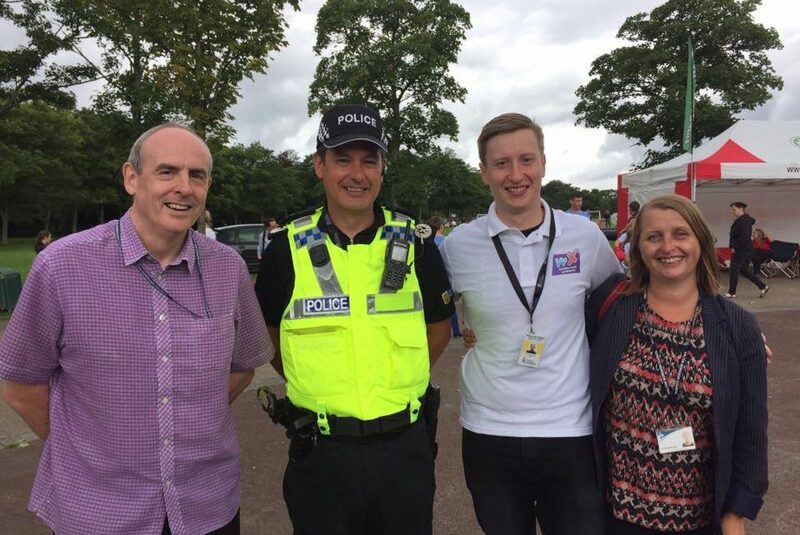 Pictured are Cllr Harris, Assistant Chief Constable Nick Bailey, PCSO Bowers and me. One person missing is Tony ‘Kemik’ Spruce, he was too modest to be photographed, however, VPX was his original idea. He has been running the hugely successful VPX in Warrington for years. Luckily for us he wanted a VPX in his home town too and PCSO Graham took up the challenge last year, followed by PCSO Bowers this year, both assisted by Tony. I’m hopeful that VPX Widnes will become a yearly fixture and hopefully rival Warrington’s in a friendly way of course.